My local grocery had purple potatoes on special this week. I had never done any cooking with them, but had heard plenty about them on the chef competition shows I occasionally binge-watch while working. 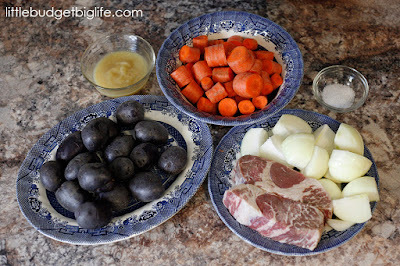 I grabbed some "must sell today" boneless cuts of beef and built this hearty--and colorful--meal from there. It cooked on low for 9 hours and smelled amazing. We each added salt and pepper to taste when it was time to eat, and we ate well. The potatoes were great, although Pip was simultaneously mesmerized and horrified that they were purple on the inside, too. It later occurred to me that with some fresh tomatoes, steamed broccoli, and ripe blueberries, we would have truly covered the color spectrum. Maybe next time! Confession: I keep the packaging from Pip's toys. Before you are horrified, let me explain. I don't keep all of it. Don't think I have a closet full of shreds of cardboard or bits of plastic or anything like that. But when she is given a licensed item--think movie and TV characters--I am careful to neatly cut out and save the images from the outer shell of the gift that might otherwise be tossed into the recycling bin. 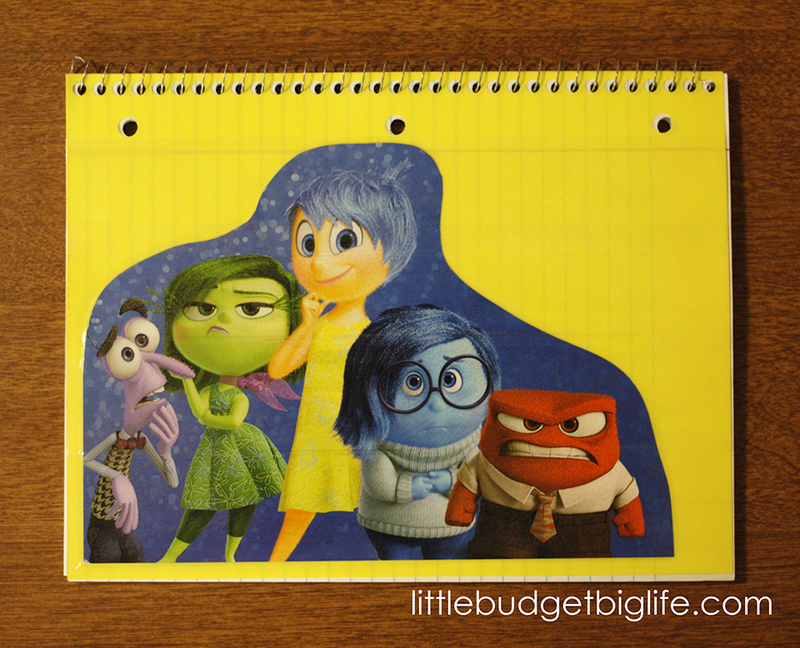 When Pip received an Inside Out blanket, I salvaged a group image from the front of the package and turned that could-have-been-lost artwork plus a spiral notebook we had here at the house into "new" school supplies for her. First, I cut freehand around the characters the shape I wanted the image to have. There were words and things I didn't want on the final product, so I took that into consideration when deciding where to trim. Finally, I put packing tape--of which we have plenty, due to our home-based business--over the entire front cover of the notebook, in straight rows starting at the bottom. I purposely cut it longer than the cover so I would have enough on each end to fold over and stick to the back for an extra sturdy finish. It probably took you longer to read this than it will take you to decorate a unique notebook for your kiddos using objects you have around the house. Enjoy! 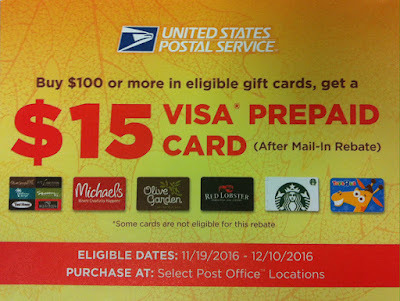 I was standing in line at the post office, just people-watching while I waited, when I spotted an ad for a $15 prepaid Visa card. Free money? Tell me how. This really only does you good if you're planning or willing to spend $100 on gift cards. 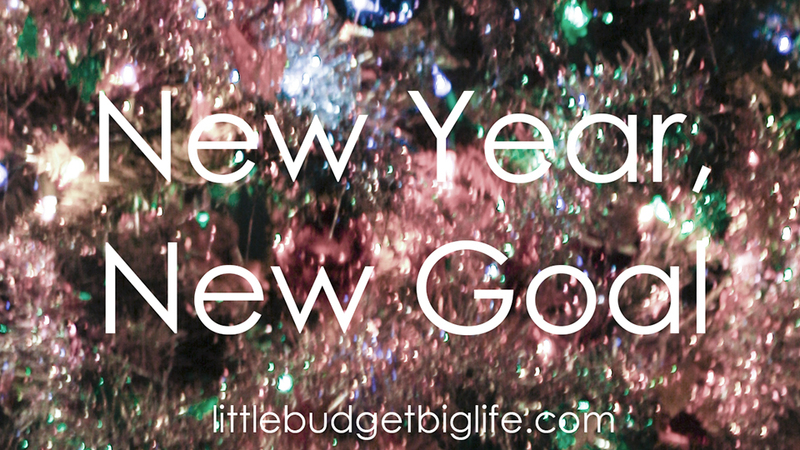 And gift cards for specific vendors, at that. But if you're already going to spend the money, you might as well get 15% of it back, right? 1. Gift cards make simple (and simple-to-ship) gifts. Done and done. 2. If you're going to spend the money at one of the select merchants anyway, you're either paying now or paying later. Note: If you are someone who will buy the card now for the rebate and then forget to send in the form or lose the card before it's been completely used up, I do not encourage you to do this! Same applies if you think of these gift cards as "free money" and make more frivolous choices with them; they're not free money! You bought them! Shop carefully! This is a limited time offer; purchases must be made by December 10, 2016, and they must be made at a Post Office. Rebate form required. There is fine print on the back; if you're wanting to pursue this offer, please read it before you buy. The merchants listed on the form include Michael's, Toys R Us, Starbucks, Red Lobster, Olive Garden, Longhorn Steakhouse, and Bahama Breeze. I do not know if any other merchants are included in this offer. I occasionally buy gift cards for my own use when they're on sale. (A $10 GC to one of the few places Pip can safely eat for $8? That's a win!) Or when there's an in-store or instant rebate, which I see at pharmacies sometimes. Do you ever purchase gift cards for your own use? Or strictly to give as gifts?